Watch the CBS Sunday Morning profile on Steve Perry's return to music here. 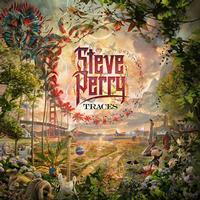 Former Journey singer Steve Perry has returned at long last to reclaim the rock ‘n’ roll throne with his first studio album in 24 years. Titled Traces, the long-awaited follow-up to 1994’s For the Love of Strange Medicine, has dropped!